Many people know that “911” is a call number for emergency assistance. 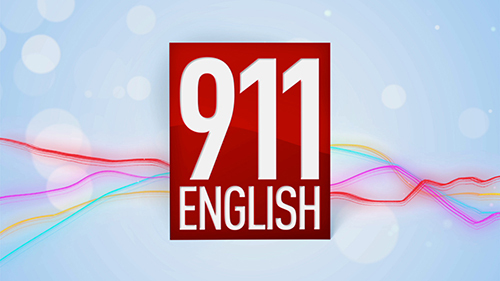 “English 911” for Intermediate learners offers assistance in learning English. It is a series of episodes, which helps our viewers improve English by answering their questions on the intricacies of the language. Each episode includes answers to three questions asked via email. The host of the program is a native speaker who clearly answers each question. The email address to which you may send your questions is always given in “English 911” videos.